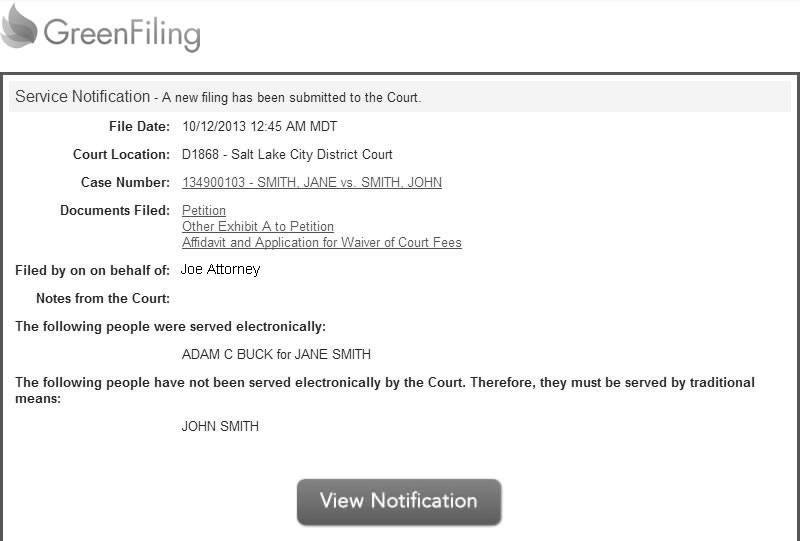 The Utah State District Court officially delivers service of all documents on such cases to Green Filing via a Notice of Electronic Filing (the “NEF”) as well as copies of all documents referenced within the NEF. The NEF, together with copies of all documents referenced within the NEF, are found under the Notifications tab of the registered user’s Green Filing account. This accomplishes electronic service. 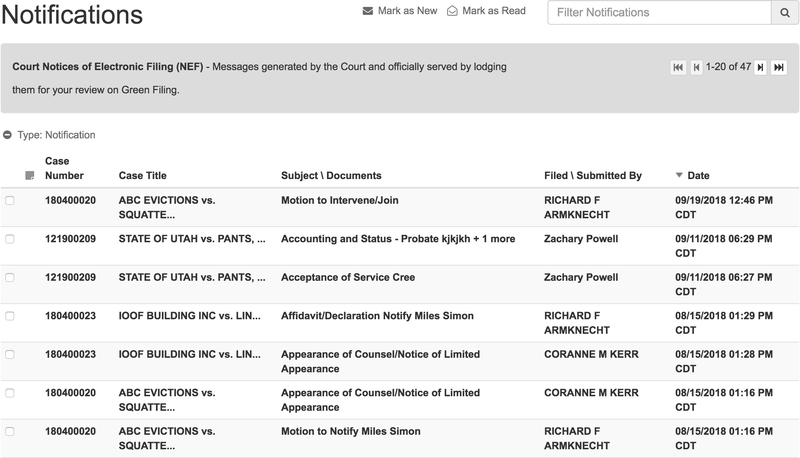 In addition, upon Green Filing’s receipt of an NEF from the Utah State District Court, Green Filing will send a courtesy email to the registered user’s Account Email Address alerting the attorney of record that a new filing has occurred. These are called Service Notification emails. (each, a “Service Notification Email Alert”). Notwithstanding the foregoing, Green Filing will only send a Service Notification Email Alert to a registered user who has not opted out of receiving email notifications via its account user preferences available on the Green Filing Site.